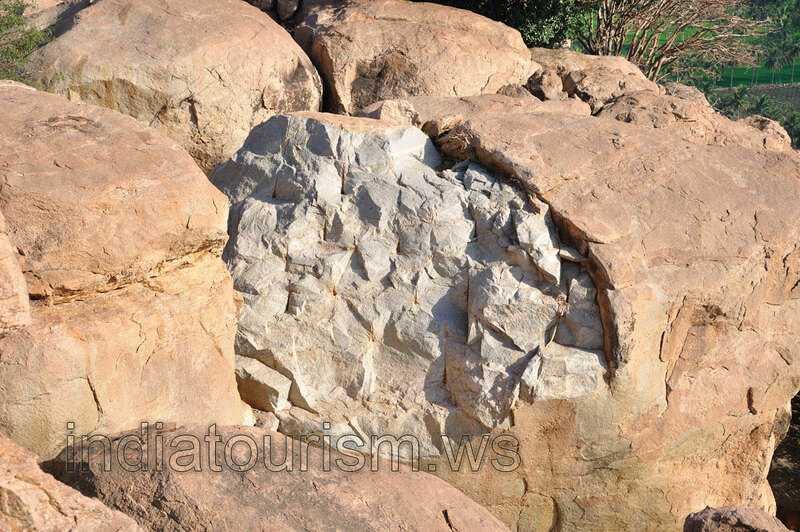 The structure of boulders in Hampi is very interesting. Look under the surface of the brown boulder and you will find that it is almost white inside. The internal structure of the stone has silver color.